Mrs. Adiletta, Mrs. Henning, and Ms. Smith! of such a wonderful school and community. Follow Our Classrooms on Twitter! We will use Twitter to post reminders, updates, and pictures from our classrooms! It's time to get our learn on! Let's make some history, together! What will we learn this year?? 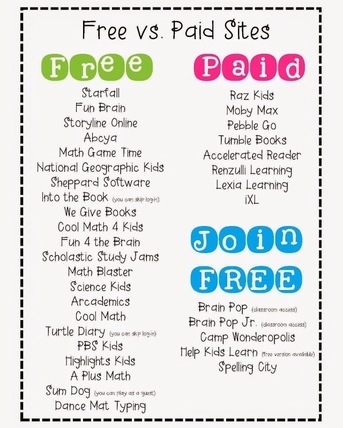 Check out these FREE Educational Websites! We follow lots of different educational blogs, and we just recently discovered this entry. If you are looking for websites that will read stories aloud to your child, here is a list of the free resources available to you! Students also have access to Moby Max, IXL, and Pebble Go through their Liverpool Launch Pad or specific logins. Students will be given a list of logins at the beginning of the year. Click here for a list of free read aloud websites! Go Beyond "How was your day?" 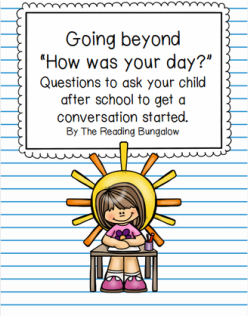 Here's a list of 47 questions that you could ask your child to ask about his/her day! This document is available in english AND spanish! Click here to see the list of questions!